I was finally able to cook in one night – it felt like I hadn’t had time in forever! I wanted something other than chicken, so I bought some pork chops and scoured my cook books. 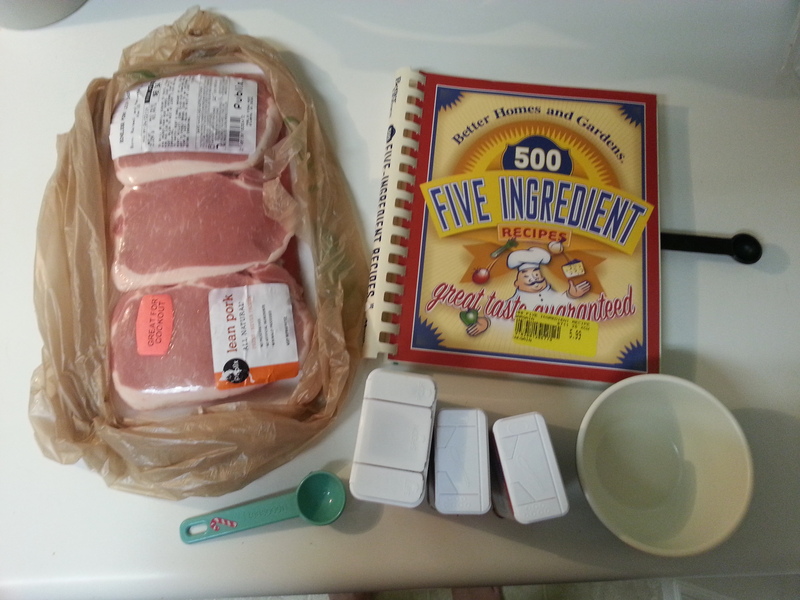 I found a quick and easy recipe for Peppery Pork Chops in my Better Homes and Gardens 500 Five Ingredient Recipes book. It actually has only 5 ingredients, including the pork chops – actually just four if you don’t use the suggested ‘serve with’ condiment! 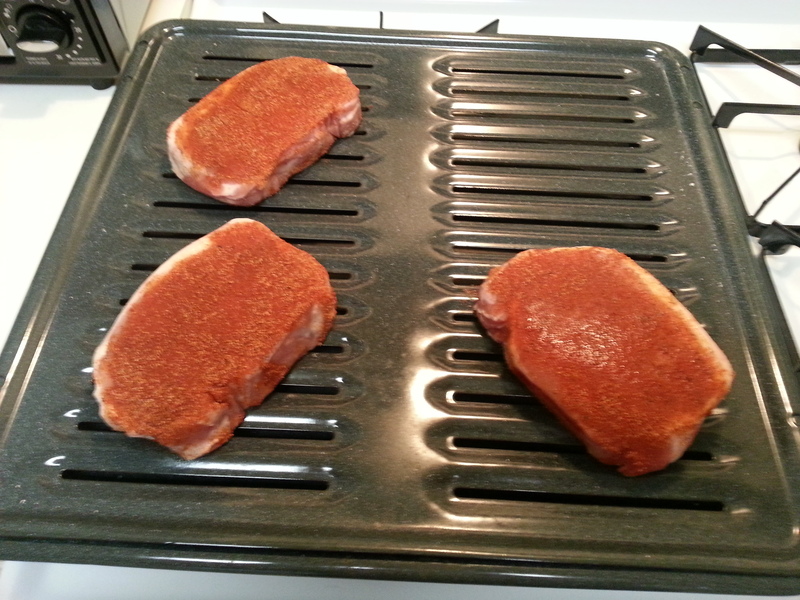 Combine paprika, garlic salt, and black pepper and rub it onto the pork chops. Place them on top of a cold broiler rack. I’m not going to lie, the broiler scares me a little. Especially using it longer like this recipe. But I did it – keeping a very close eye on them. About 8 minutes on one side, flip ’em and broil another 8 minutes. And done! They were cooked all the way through and weren’t dried out (pork is easy to dry out). 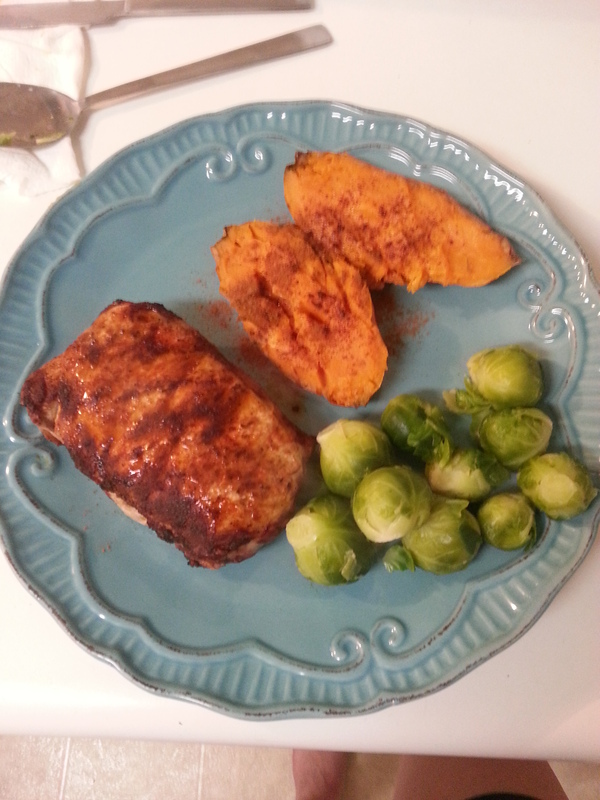 I served with a baked sweet potato and brussel sprouts (I cheated and used the frozen steam bag ones….but they were actually really good). The recipe recommended serving with sour cream, which I thought was interesting. But I had some light sour cream so I gave it a shot – it was actually delicious paired with the peppery pork chop! Definitely a quick and easy recipe to keep handy. Categories: Wonderful Wednesday | Tags: 30 before 30, cooking, food | Permalink.